This Tract Consists OF A Total OF 283.46 Acres For Sale That CAN BE Divided. 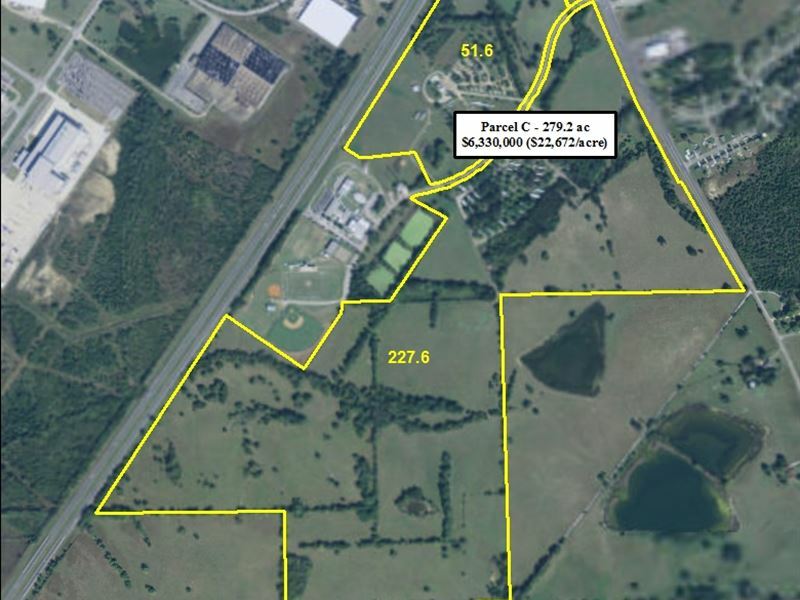 Part OF The 283.46 Acres IS Comprised OF TWO OUT Parcels, Parcels A and B.Zoned AG 1 For All Propertyoutside OF The Montgomery City Limitsutilities Available Water, Power, Sewer, Natural Gasparcels A And B Have A Combined 787' +/- OF Frontage ON Highway 31Maximum Depth As Drawn IS 225' This CAN BE Changed As Needed Located AT Exit 164. This IS The Primary Exit For The Hyundai Motor Manufacturing Plant, This IS A Billion Dollar Automotive Plant That IS ONE OF The Most Advanced Assembly Plants IN North America. Montgomery Interstate Industrial Plant IS Also Located AT This Exit.